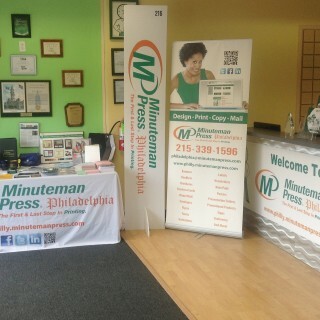 Our goal at Minuteman Press, Philadelphia is to be the one stop shop and premier provider of high quality design, printing, signage and mailing services with exceptional customer service for businesses and organizations in the Delaware Valley Region. As you get to know us and interact with us, you will get to know that this is true. We believe that it is important for us to know who you are and how you approach your business, so we can tailor our services to meet your needs. In this section, you will learn about the diverse people, culture and capabilities that make our company unique. We are confident that as you get to know us, you'll like what you see. 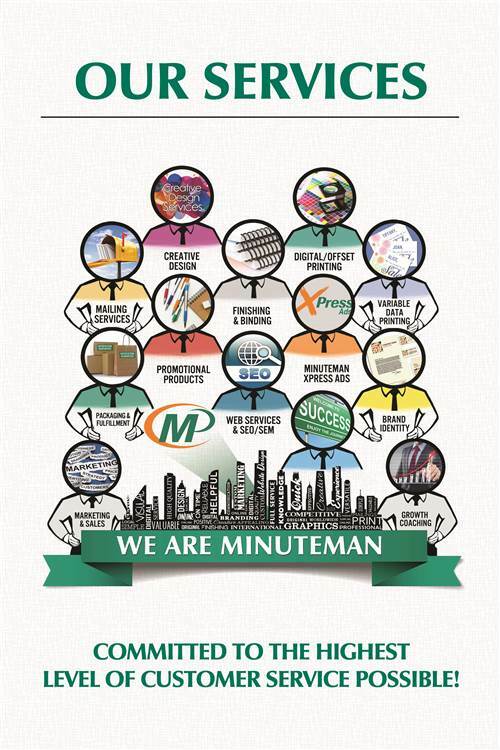 Minuteman Press is a heavily involved in the community. We are close to our clientele, building strong relationships with local small business, Philadelphia's porfessional sports teams and politicians. We pride our selves in not only the work produced for our customers but the support and resources we provide for our clients. We have not only leveraged our membership of the Communications Workers of America as a union shop but also take pride as active members in the networking communities as active members of Business Network International, Kingdom Chamber of Commerce, Philadelphia Convention & Visitors Bureau and Board Member of the Entrepreneurs Forum of Greater Philadelphia.